So I stopped at the library on the way home to use one of their large tables. 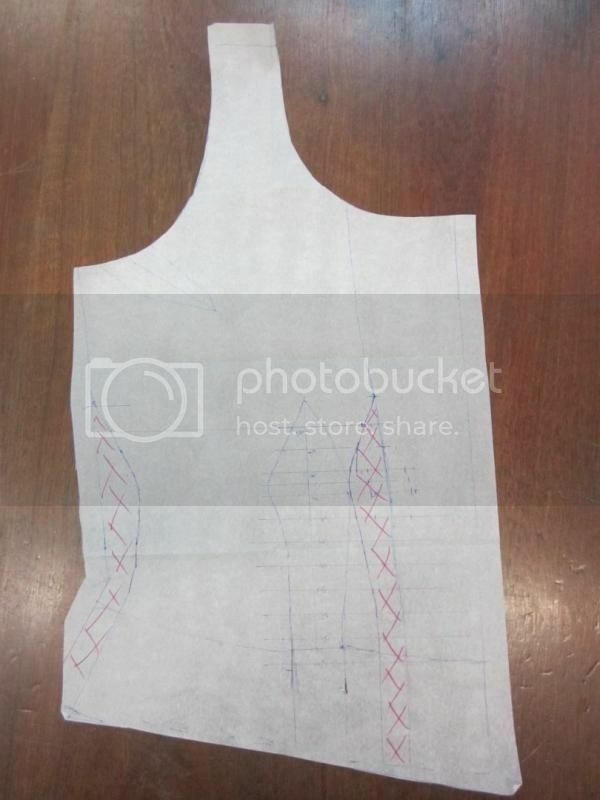 Here's I moved half the underbust dart to the side seam, and half off the side front of the centre front panel seam. I'm going to cut off the bodice 3" below the waist ... in the movie the skirts tie over the bodice, so I'm glad I marked the waistline. I'll leave the armscye dart in place & stitch it.